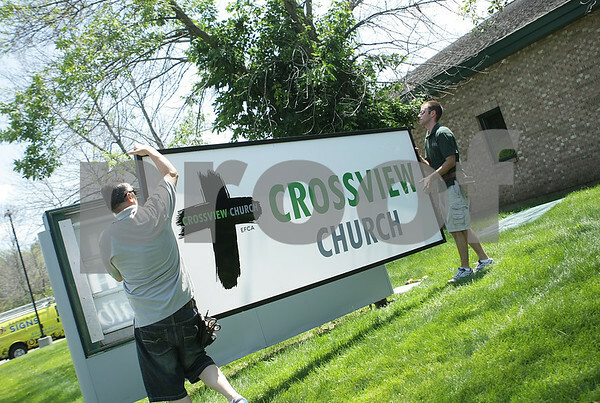 Jon Kuhn (right) owner of Banner Up Signs of Sycamore, works with employee Tom Davila (left) to carry the new polycarbonate sign with the new name and logo for the Evangelical Free Church of Sycamore-DeKalb on Bethany Rd. in DeKalb on Thursday, July 10, 2014. The church will officially change over to the Crossview Church on Sunday, July 13, 2014.